Mister G has a very special place in our home. We’ve been listening to Mr. G’s music for quite some time now, and we own ABC Fiesta and Los Animales CD’s. 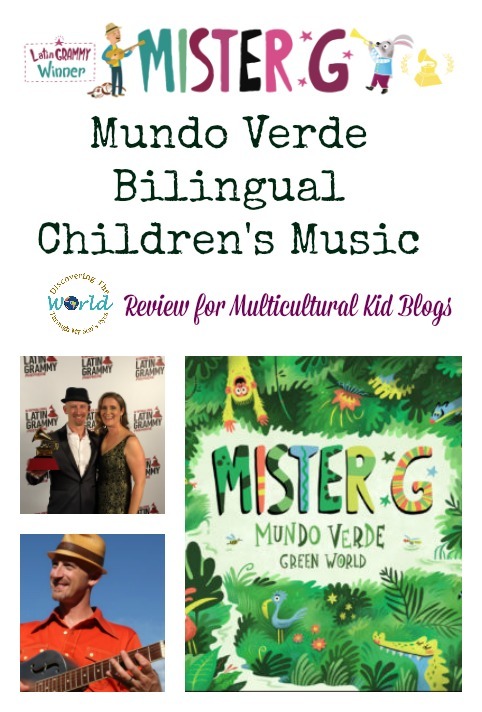 I was ecstatic when I had this chance to review his latest Mundo Verde Bilingual Children’s Music album! Disclosure: I received an electronic download of Mister G’s CD for purposes of this review. All opinions are my own. We couldn’t be any happier for the Latin Grammy Winner and with his newly released CD “Mundo Verde” an ode to our planet. With the first track Mundo Verde if you close your eyes and listen to the intro music it will make you feel that you’re in a rainforest! 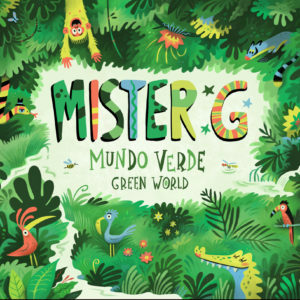 This Mister G Mundo Verde Bilingual Children’s Music CD is a collaboration with musicians from Colombia, Mexico, Cuba, Dominican Republic, Peru, Argentina, Puerto Rico, Venezuela, Brazil, and around the USA. The songs from Mundo Verde Bilingual Children’s Music album are bilingual in both Spanish and English. They deliver a message to care for our planet and the best part it’s an excellent resource for language learners. 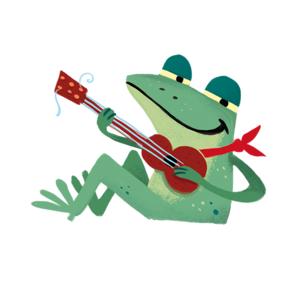 Our favorite song by far is El Coqui / The Frog (Yeah I’m a bit biased the coqui is a tiny little frog from Puerto Rico! Ha!) Needless to say, all of his songs are are a treat to listen. Mister G’s website has an education section with resources for teachers, and it has a What You Can Do For a Green World Fact Sheet that can be used with his CD Mundo Verde. You can use this CD for Earth Day activities, for language immersion class or just to simply blast the speakers and sing along on any given day! Visit Mister G’s website to learn more and make sure you follow him on his social media accounts. Mr. G looks like a fun role model for bilingual children (and those who would enjoy loving a new language). Thank you for the inspiration. Blessings to you and your family this holiday season.